Grosh's Grass Gazette - It's Summertime! Let Tom and the team take care of your lawn and landscape needs so you can enjoy time with your friends and family this spring! Proper pruning is an easy way to help keep your rose bushes blooming and looking their best all season long. Remove all suckers down at the root of the bush. Pruning off all dead or diseased canes is also helpful to the rose bush. Now is the time to SAVE THE DATE for your shrub trimming and pruning; our schedule is filling up! Do not delay and wait until friends and family will be showing up or it's a holiday (July 4th is quickly approaching)! IS YOUR LAWN PROTECTED FROM GRUBS? Now is the time for residents in Washington County, Maryland, and surrounding areas, to schedule grub protection for your lawn. Do you live in Williamsport, Maryland? 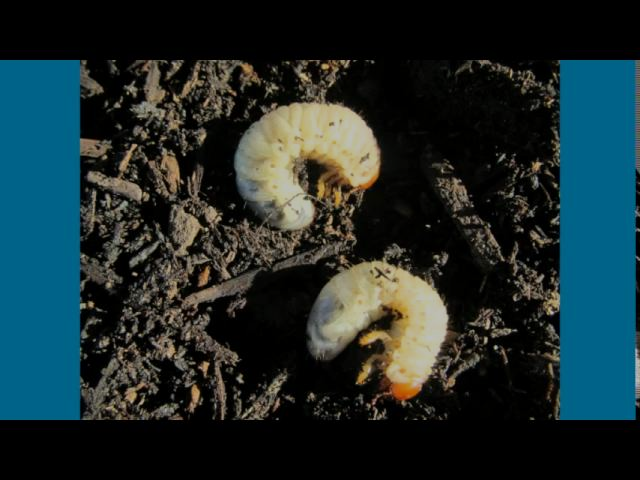 Did grubs destroy your lawn and / or landscape last year? Perhaps you live elsewhere in Franklin County, Pennsylvania and your neighbor had a grub problem that affected your lawn? Did Japanese Beetles eat your trees last summer, or destroy your roses or crape myrtles? If so, then you WILL have grubs in your lawn this year! Are other pests destroying your lawn? 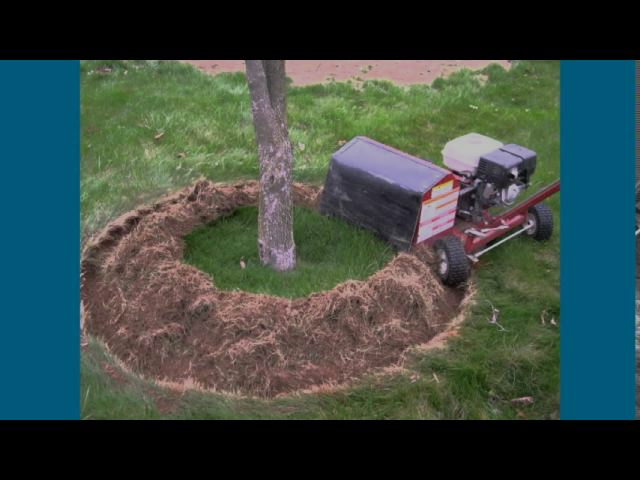 Are skunks and opossums digging up little holes in your lawn? Now is not the time to panic, folks. Instead, contact Tom and the team at Grosh's Lawn Service. They are experienced in dealing with these pests. Learn more by watching the video above. 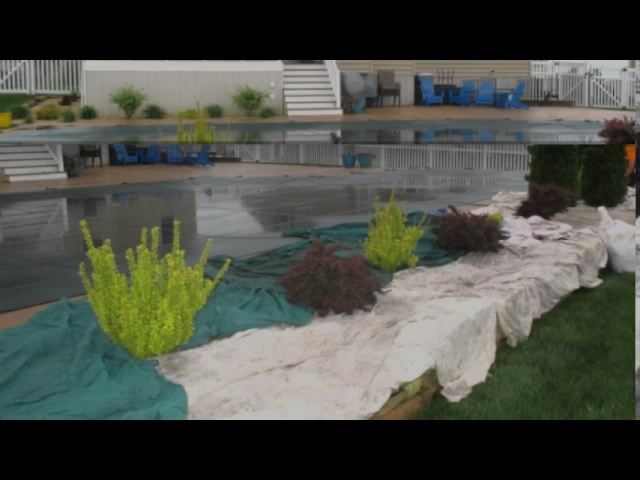 Then visit the Grosh's Lawn Service blog and email Tom. May was colder and rainier than is typical for the Western Maryland region. NOW is the time to schedule your tree planting. Unsure of the type of tree is best suited for your property? Not certain on where you should plant the tree? There are many undesirable tree types out there that require consistent maintenance, including year-round limb trimming and pruning. Don't delay, give Tom a call today. 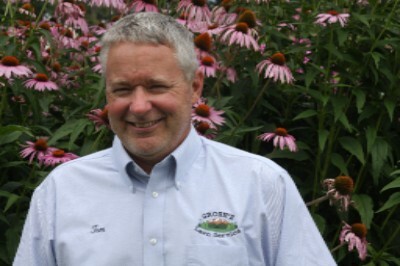 Tom and the Grosh's Lawn Service team are experienced at helping clients find the right tree, and ensure it's planted in the best place. Check out our blog here for more information on tree planting. Did you know that female bagworms lay between 500-1000 eggs in their bag before they die each fall? The eggs then hatch in May and June. Once hatched, larvae spin down on silken threads and are blown about by the early spring breeze. 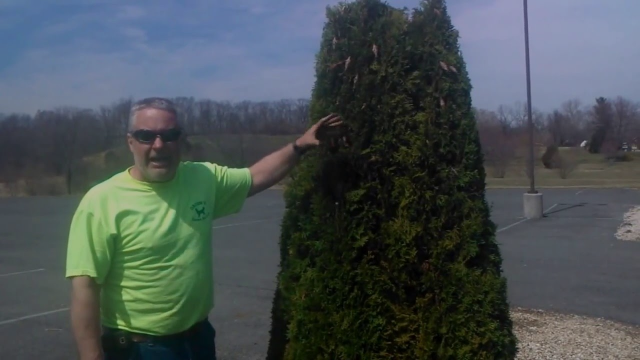 Contact Tom at Tom@GroshsLawnService.com to learn how Grosh's Lawn Service can help tackle your bagworms! As always, it is so exciting to come home from work to a beautiful landscaping job! Everything looks wonderful, and we greatly appreciate your work. Thank you for the Mother’s Day wishes! I hope you have a good weekend.